The states of classical music and music education are in a crisis. This is evidenced most plainly by the erosion of music programs in public schools. Music is often the first discipline to be eliminated when budgetary pressures mount, being relegated to that of extra-curricular or worse yet non-essential. The effects of this crisis are becoming increasingly and more broadly evident, with fewer students engaging in musical and artistic pursuits, declining classical music audiences, and a general lack of enthusiasm for this great art. The research clearly underscores the manifold benefits of music study. 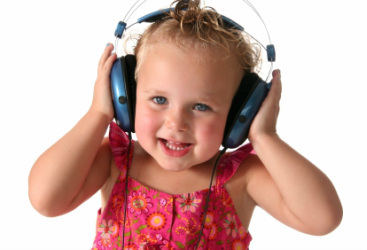 Children who are exposed to music have higher-level critical thinking skills and are better equipped to think creatively. Furthermore, they are exposed to other cultures and historical contexts. Those who participate in chamber music and larger ensembles learn valuable cooperative and social skills. Students who study an instrument learn the value of hard work, discipline, and committed focus. Perhaps most importantly, making music can be one of life's greatest joys! The word "inspirare" means to breathe in new life. Motivated by a mutual, urgent desire, Ohio University Collegiate Chapter of MTNA along with chapter advisor, Dr. Christopher Fisher, have created a visionary program - Project Inspirare - to cultivate a passion for classical music in the next generation through special outreach and engagement initiatives. The guide to community arts engagement is a continuation of those efforts with four newly designed and carefully cultivate initiatives. These four initiatives were designed to create connections between the Ohio University School of Music and the community of Athens, OH. These community engagement programs are rich collaborations that represent deep engagement at the level of partnerships. The aim is to create lasting partnerships through involvement and consistency.